While not outright denying rumors of a UMD-free Playstation Portable, the head of Sony's hardware marketing said that the UMD business is "critical to us this year and beyond." 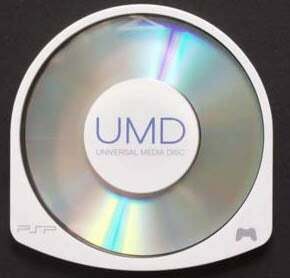 Earlier this week, Acclaim chief creative officer David Perry said that he knows a developer who is working on games for a Playstation Portable that won't have the UMD disc drive. Although Sony's John Koller wasn't willing to discuss further the details of the rumor, he did say that Perry's comments about the new PSP does ring true in one area: Digital downloads. "We are making a concerted effort for digital distribution," he said. "We've talked to developers about increasing their digital download content." Currently publishers can choose to launch a game on UMD or go direct to digital through the Playstation Store. "There is a delay right now because we want to ensure retail is respected and have their day in the sun," Koller said. "Retail has been concerned about the digital side of game purchases, but that conversation has changed in the past nine to 12 months." That's because retail stores can sell Playstation Network cards and make a profit on them. Sony is currently looking through their PSOne library and all publishers' back histories to see what can be placed on the Playstation Network, he said.